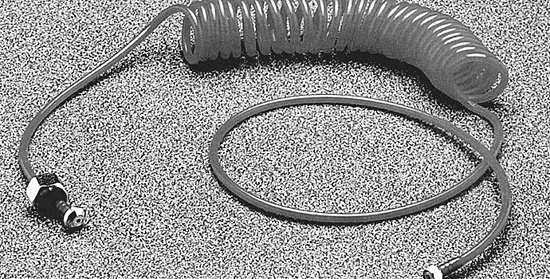 Paasche Air Hoses are durable plastic with braided covers (except D) and include factory sealed couplings. Using a Moisture Trap is recommended to prevent moisture damage. 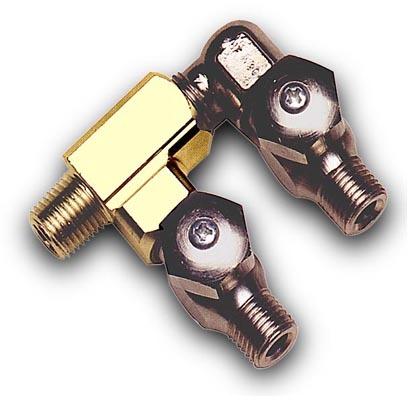 Manifolds allow two or more airbrushes to be connected to the same compressor. Fits "VL or "H" Set. pressure is 80 lbs. psi. 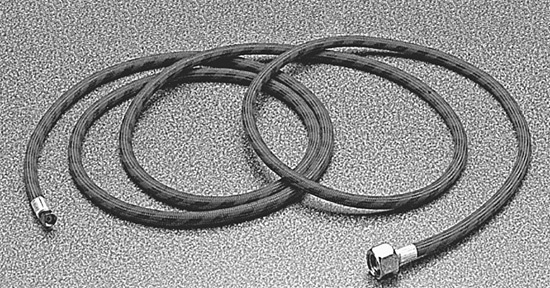 (A) Air Hose, "VL" or "H" - 6 ft.
(B) Air Hose, "VL" or "H" - 8 ft.
(C) Air Hose, Glaze Gun - 8 ft.
(D) Air Hose, Coil Style, "VL" or "H" - 10 ft.